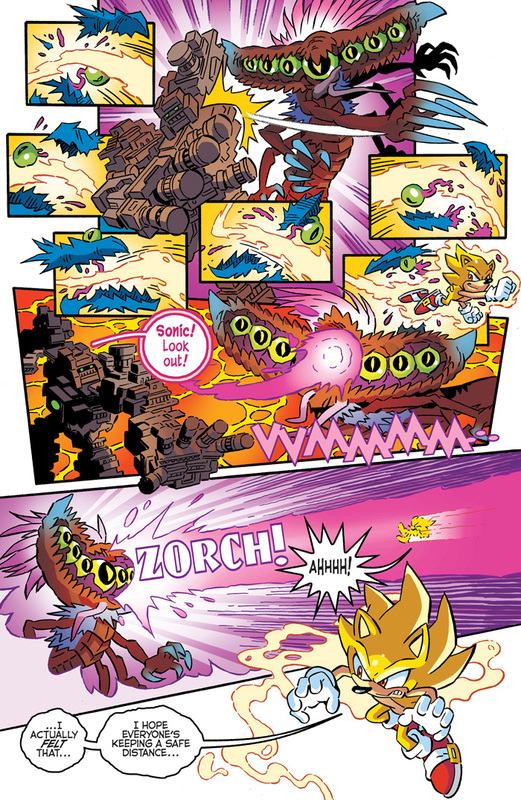 PREVIEW: SONIC THE HEDGEHOG #287 by Ian Flynn, Tracy Yardley, Terry Austin, et al. 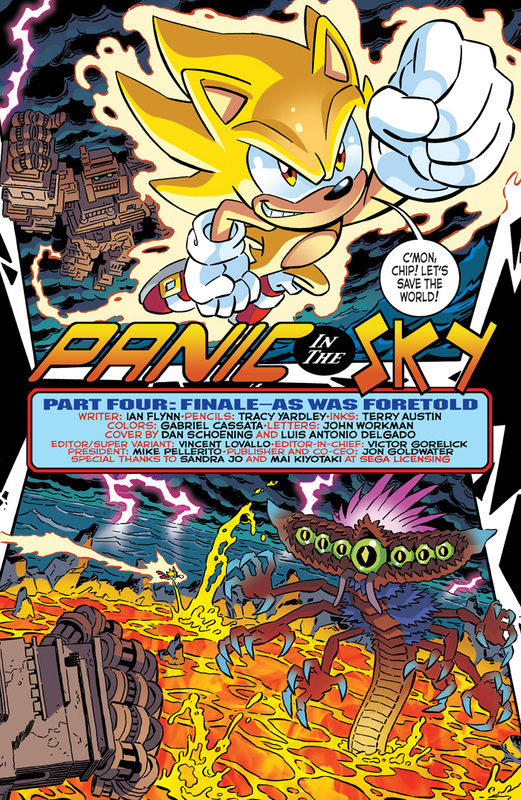 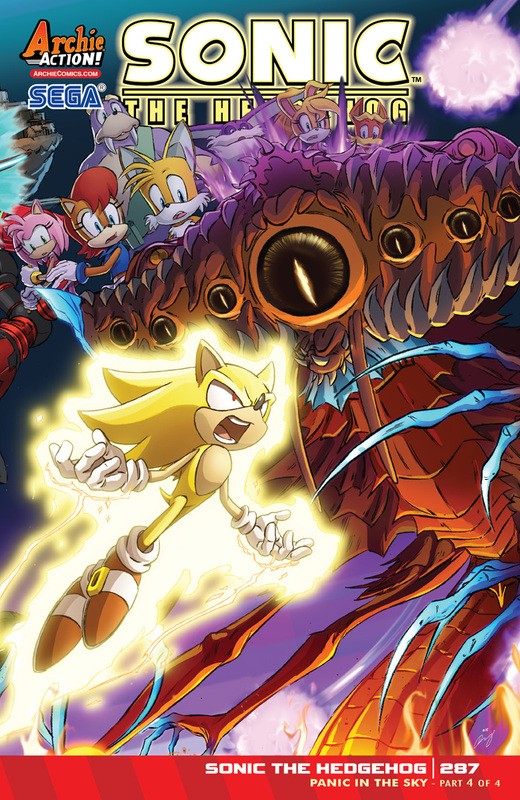 SONIC BATTLES at the CENTER of the PLANET in “Panic in the Sky” Part Four: This is it—the cataclysmic clash and ferocious finale to the Shattered World Saga! 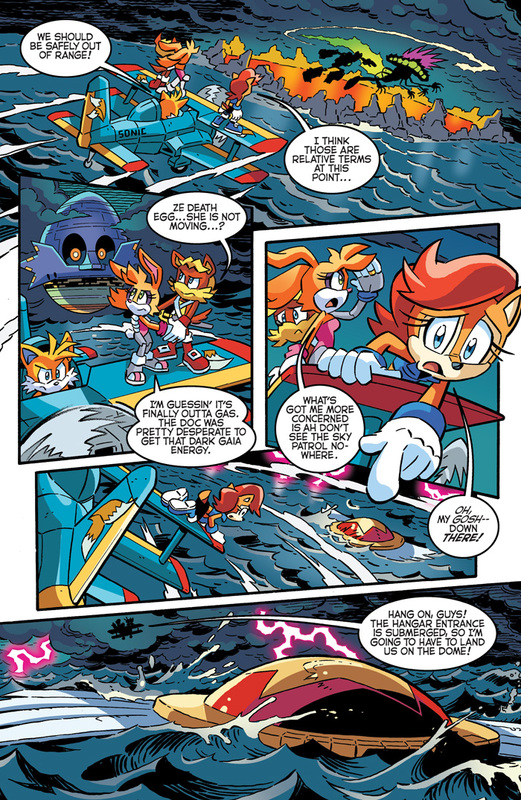 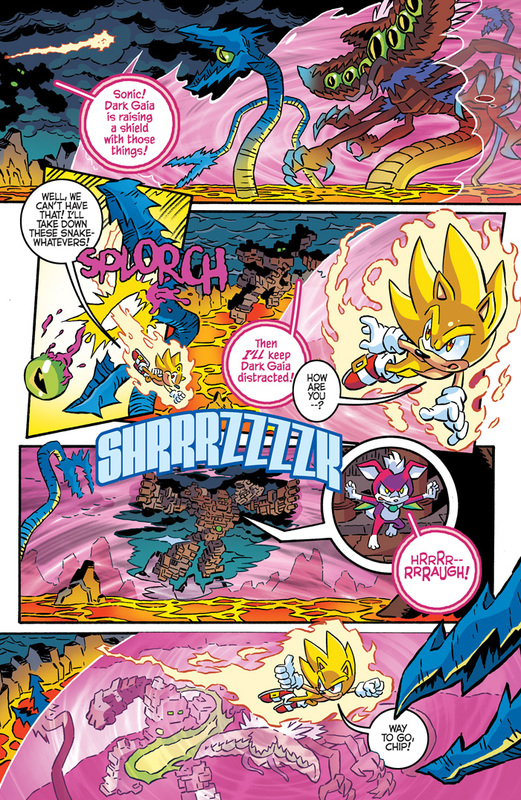 Super Sonic leads Chip into battle against the dreaded Dark Gaia with the Freedom Fighters at ground zero! 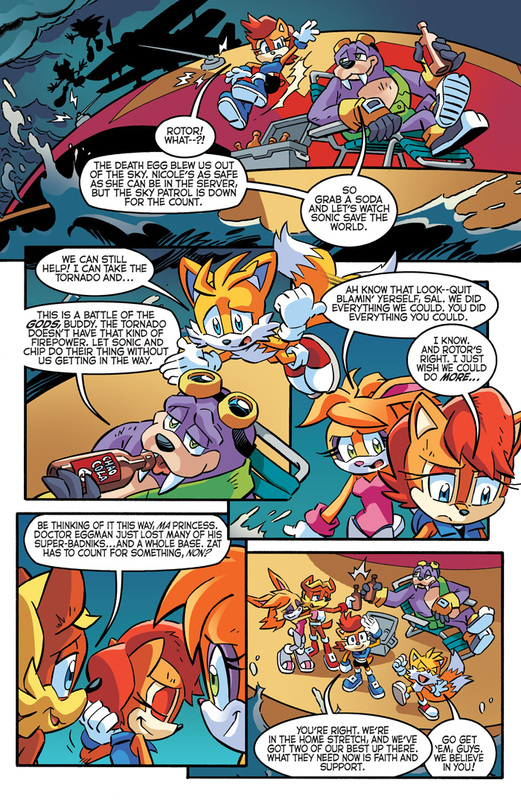 With the fate of the world at stake, who will actually be able to make it home? 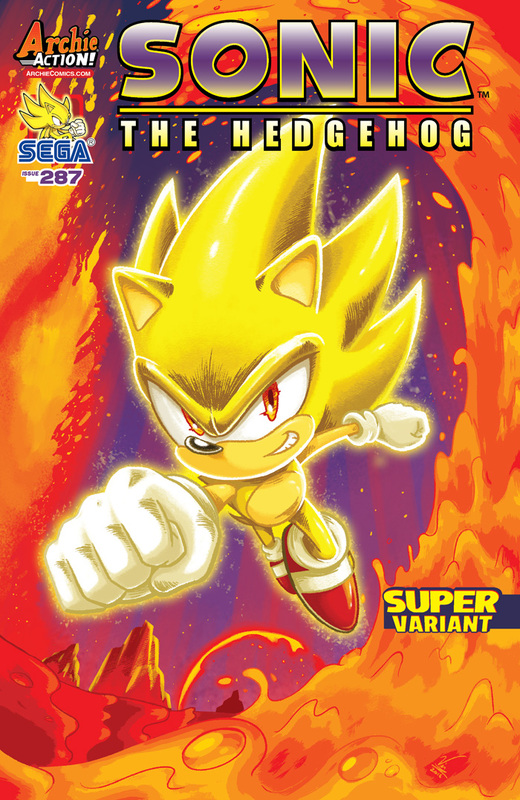 Featuring the fourth of four EPIC connecting covers by mega-talent Dan Schoening and a “Super” variant by full-time editor, first-time cover artist Vincent Lovallo!